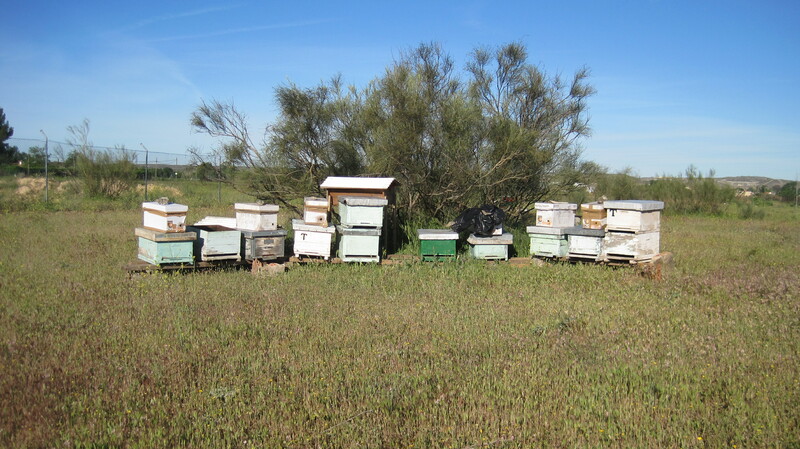 3382 miles northwest and 5000 feet closer to sea level than Kembata-Tembaro Ethiopia, Bee Free Apiaries is back in full spring here in the outskirts of Madrid, Spain. The April sun manages to beat down just, if not stronger than Africa, and in alliance with generous spring showers, flowers are blooming and the early nectar and pollen is flowing. Our continued collaboration with a local beekeeper and the association he heads continues to benefit our apiary and in big thanks to the swarm control unit of the Madrid fire Department our apiary is happily expanding. 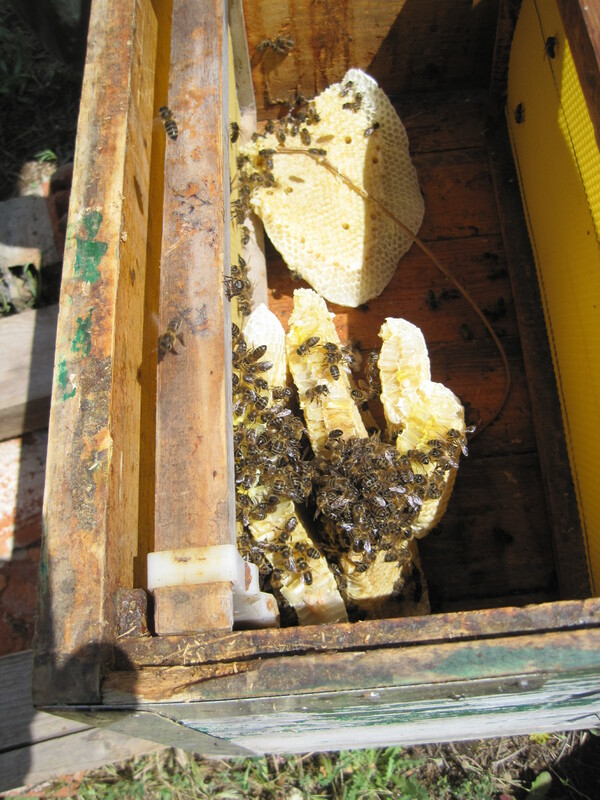 Julian kindly handed us down a van full of old boxes and equipment he had in his shed and after a few days of a bit of scraping and sanding the hives were ready for the new swarms. Come sun down Thursday night, after all the foraging bees returned to their honey comb, the fire department’s temporary cardboard hives were closed up in their public park of residence and brought over to our apiary. 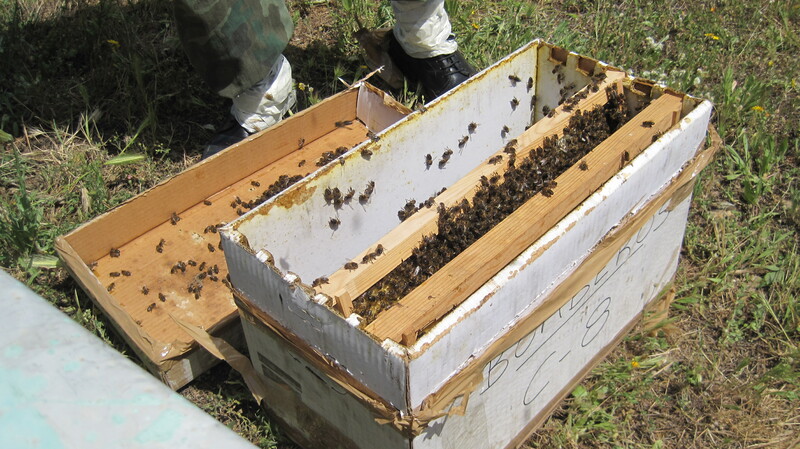 Using the light of the van, we placed each of the 6 swarm boxes on top of their future homes and opened their hives in order to let them breath and ventilate. Friday morning, when the temperature warmed up, Julian returned and together we transferred the bees to their new boxes. 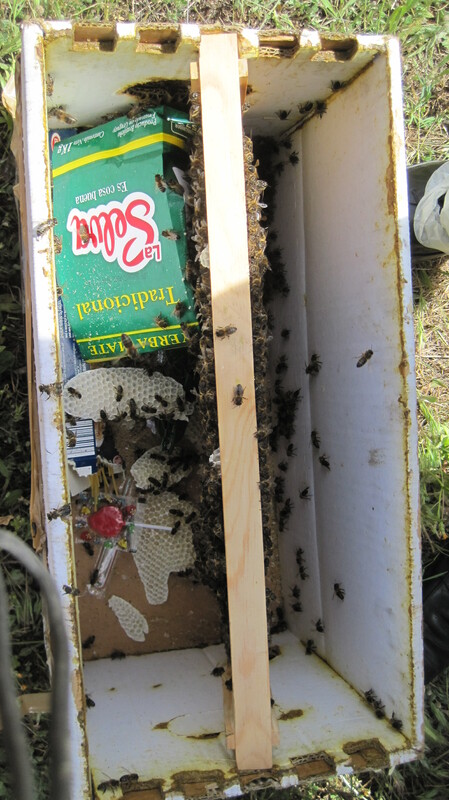 Fireman may not be beekeepers but they do know how to put a colony into a box, and sometimes even include a few surprises. 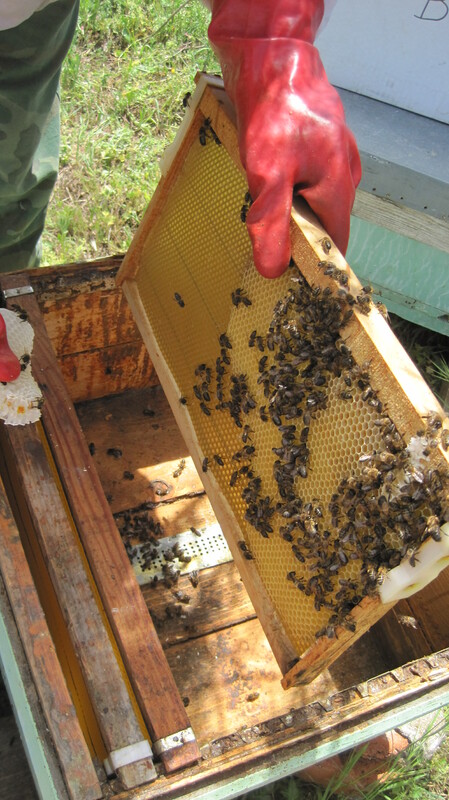 After picking out the trash and kitchen scraps, each of the wax laid panels is simply carried over to their new hive. With plenty of wax to stretch out in preparation for the queens egg laying the hard working bees are kept very busy. Julian observes the newly relocated bees, and pays special attention to the swarms tail movements as an indication of the whereabouts of the Queen. 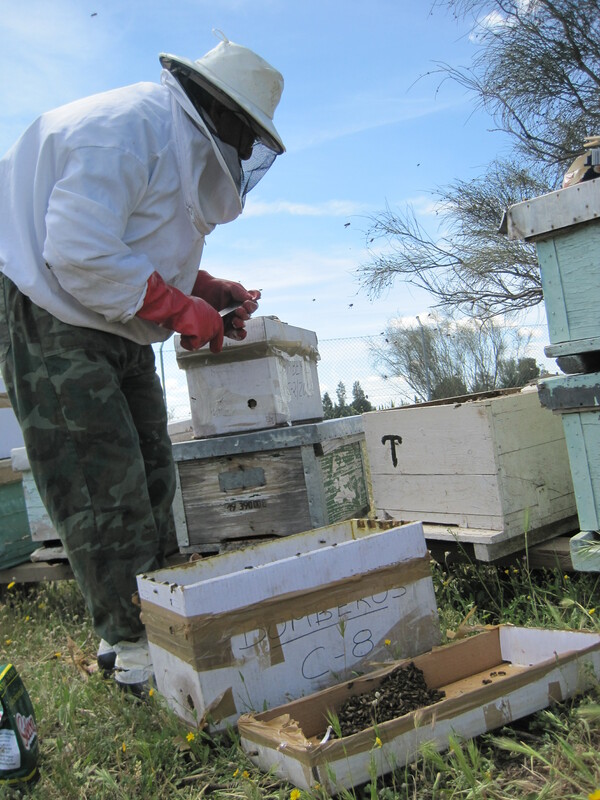 We gave each of the colonies 2 or 3 more wax lined panels to keep busy for the next few weeks and once all the hives were transferred and placed into their new hive,we stepped back and watched as the bees flew abuzz in their acclimation process.